Sherman Johnson went 2-6 with a run and an RBI. Josh VanMeter went 2-3 with 2 walks, a home run (4), 2 runs scored, and 2 RBI. Phillip Ervin went 1-4 with a walk. Brian O’Grady went 3-5 with a double, run scored, and an RBI. 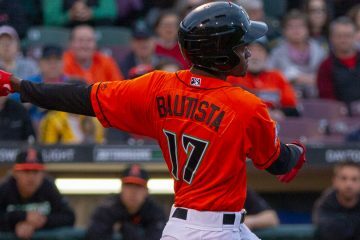 Aristides Aquino went 1-5 with a double, run, and an RBI. 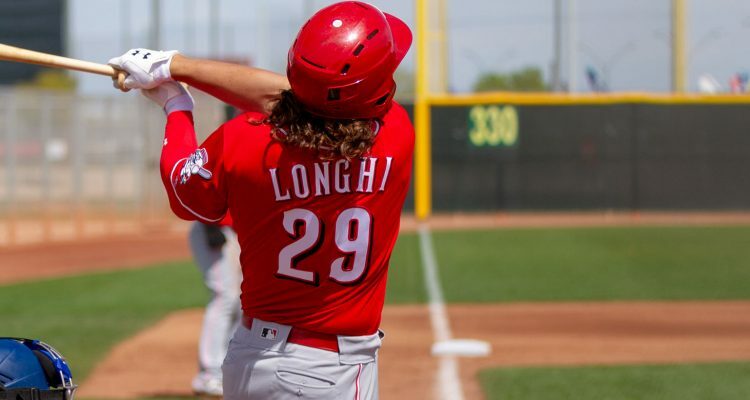 Nick Longhi went 2-4 with 2 doubles, a walk, a run, and he had 2 RBI. Lucas Sims threw 5.1 shutout innings with 2 walks and 7 strikeouts. Jesus Reyes threw 1.2 shutout innings with 2 strikeouts. Sal Romano threw a perfect inning with 2 strikeouts. Anthony Bass threw a hitless inning with a walk. TJ Friedl went 1-4 with a double. 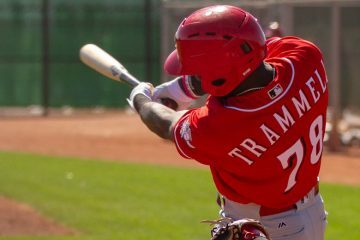 Taylor Trammell went 2-4 with a steal. Ibandel Isabel went 1-4 with a solo home run (1). Gavin LaValley went 1-3 with a walk and a solo home run (1). Brantley Bell went 1-3 with a walk. Aaron Fossas threw a hitless inning with a walk. Ryan Hendrix threw a shutout inning with 2 walks and a strikeout. Wyatt Strahan threw a perfect inning with a strikeout. Jonathan India went 2-3 with a walk, was hit by a pitch, doubled, and he scored 2 runs. 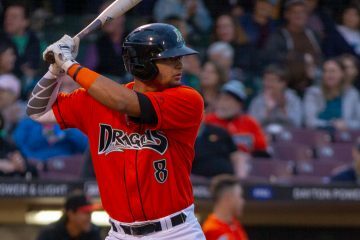 Alejo Lopez went 3-5 with a home run (1), 2 runs scored, and he drove in 3. Yonathan Mendoza went 2-4 with a walk and 2 RBI. Mark Kolozsvary went 1-3 with a walk. Ryan Lillie allowed a run in 4.2 innings with 2 walks and 5 strikeouts. Cory Thompson threw 2.1 shutout innings with a strikeout. Shard Munroe went 1-4 with a run scored and an RBI. Jay Schuyler went 1-4 with an RBI and a stolen base. Claudio Finol went 2-3 with a run scored. Eduardo Salazar was charged with an unearned run in 2.0 innings with 3 strikeouts. Connor Bennett threw 2.0 perfect innings of relief with 3 strikeouts. Nice a HR by Lopez did not hit one last year. I get not a Power guy though. Doug I read where Senzel is back to doing baseball activities. Any Merit to those stories? What kind of pitches does Cory Thompson throw? Does he profile as a future ML bullpen arm, or is he just a 24 year old kid having success against those younger than him? I know that he is a converted shortstop; I assume the reason for the conversion is that he had an anemic bat but a very strong arm. The K/9 rate would suggest that. Doug would have more on his pitches, stuff, etc. I kind of think that they ought to do this with Alfredo Rodriguez, but . . . If you read his scouting report at draft time in reads similar to Greene. He would either be a pitcher or middle infielder. They went shortstop route with him. 91-92ish. Snaps a decent slider. More velocity & he’d be more interesting. I highly recommend supporting Doug through Patreon. Not only is it the right thing to do, the added details in the daily emails during the season are always interesting and insightful. Have to love small sample sizes. 2 solid games in a row and India has doubled his OPS, now up to a .250/.364/.393 line for a .756 OPS. If he stays hot for another 2 games, then he’ll be pushing 1.000 OPS. Good reason not to over react to early season results. Also need to not get too excited about Trammell’s start, but better to see a 1.066 OPS than to not see it. 8 k’s in 5 games is a bit high, especially for Trammell as he had been trending positively in reducing his K’s, but that jump from A ball to AA is a big one. I bet the K numbers are high early and then come down as the season moves along. Just got tickets to the Dragons game Saturday. As of now Lyon Richardson is scheduled to pitch, just have to hope for no rainouts as he is the one I want to see most on that pitching staff. May not last, but who’d have thought the Reds would be 2nd in NL team pitching with a 3.08 ERA 2 weeks into the season? That’s less than half of the Cubbies hefty 6.43 number. Sweet. Tweak that bullpen and it could be a little more efficient. Keep the load light on Garrett and use him as primary set up man w intentions of him being future closer. I like Peralta as a bounce back guy. He broke out to an extent in 2017. When wood is ready i see Roark as odd man out if all 6 are healthy. And stay away from duke and Hernandez at all cost. Looks like a six man rotation because Mahale doesn’t need to go back to AAA for anyone. Roark has pitched 2 games. Why not Declafani? Also 2 games but worse numbers. 2 games. Too early to say. I agree about Roark, but I have a hard time believing the Reds will do that considering he is getting paid 10 Mill guranteed. They need to make sure Wood comes back at 100 percent. Six man rotation means fewer starts for Castillo and Gray, that’s not going to happen. When Wood is healthy, Mahle is getting sent back down unless he just absolutely dominates over the next month or if someone else gets hurt. If we are lucky enough that Mahle dominates, then Disco will get moved to a long relief/swingman role and I’d assume Duke gets let go (or a BP injury). Looks like Gray might have been slightly injured. 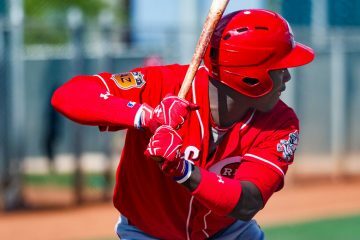 Also looks like R. Stephenson may be included in the Reds future plans. Another thing about Roark is that he’s very streaky. He’s either lights out or getting lit up and it’s usually the later given his 5th rotation spot roll. I do think due to financials he gets nod of disco, unless disco proves otherwise in meantime, he’s got 13K’s in 9 innings going for him! I also don’t see Roark as a target for teams at deadline- so kind of a pipe dream to play him in hopes of that. He’s just not good enough. Wes, both Duke & Hernandez had decent outings today. What’s becoming somewhat apparent is that the Reds have a relatively solid floor of a pitching staff. With Romano & Reed committed to relief work, there’s a half dozen ML caliber relievers down at Louisville. We’ll all know a lot more after the Reds return from this West Coast(& Mexico) trip. I’m optimistic, so far. Here is a conspiracy theory. I am not sure we should assume Wood will be ready soon or at all this season. We have never heard that there has been any move towards extending Wood. The Reds knew he had a chronically bad back and have gotten a fair amount of monetary value from the perception of his joining to rotation and its improved pitching and it boosting ticket sales. It’s good to see Fairchild, batting 5th & playing cf for Daytona tonight.